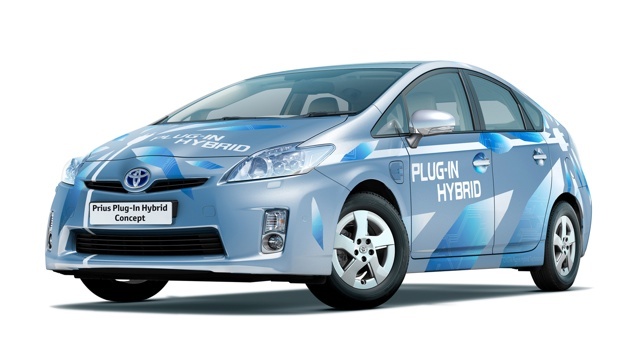 In Japan today, Toyota officially launched its Prius Plug-in Hybrid (PHEV) lease program. Over the next six months, Toyota will be building and deploying 600 examples of the plug-in Prius for testing, primarily in Japan, the United States and Europe. The Japanese market will get 230 units, with 150 coming here and 200 going to Europe. The cars will be leased to government, commercial, and university fleets for field testing that help to gather more data on how PHEVs are used in the real world. To accommodate plug-in charging, the Prius gets a 5.2 kWh lithium ion battery pack in place of the standard nickel metal hydride unit. The battery and associated charging hardware appear to be the only significant mechanical changes to the PHEV. The motor and other hybrid hardware are apparently carried over intact. Even with the standard motor, Toyota claims a maximum EV speed of 62 mph. On the Japanese JC08 cycle, the Prius can run about 14.5 miles before depleting the battery. It's not clear what the performance level will be in EV mode and what sort of driving will trigger the engine to start up while the battery still has available power. Based on that driving cycle, the PHEV is rated at 72 mpg (U.S.) in post-EV hybrid mode which compares with the 50 mpg or so that we typically see in real use. Since the hybrid system is essentially unchanged, the 14-mile range is probably a bit optimistic. The combined efficiency based on a utility factor of .436 (43.6 percent of driving in EV mode) the Prius is rated at 134 mpg (U.S.). The PHEV Prius will undoubtedly get very good mileage, but triple digits are unlikely for most people. During the presentation, Toyota also announced a target of retail sales for the PHEV of late 2011 at an 'affordable' price. Video of the presentation and the press release are after the jump.